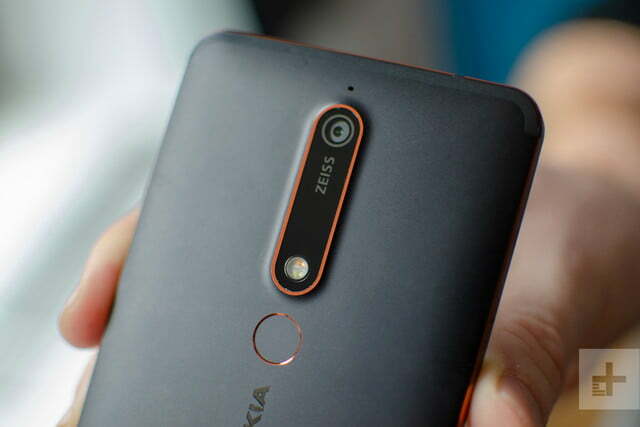 HMD Global, the home of Nokia telephones, today reported the accessibility of the Nokia 6.1 Plus in Pakistan, a shocking, contemporary cell phone with an immersive, all-screen plan. With savvy narrating highlights and a presentation that is ideal for watching recordings, informing companions and making up for lost time with your social feeds, the Nokia 6.1 Plus will assist you with standing out from the group and recount your story. The Nokia 6.1 Plus joins the Android One group of Nokia cell phones. Built with the reassuring quality you expect of a Nokia smartphone, the Nokia 6.1 Plus gives you a bigger screen experience without a bigger smartphone design thanks to its notched 19:9 screen ratio. Its 5.8-inch Full HD+ 19:9 screen ratio with 96% colour gamut allows for a vivid viewing experience, making the Nokia 6.1 Plus a perfect smartphone for enjoying immersive content experiences. Beautifully crafted to the exacting standards expected from a Nokia phone, the Nokia 6.1 Plus is encased in Corning® Gorilla® Glass on the front of the phone’s luxuriously curved surface for the ultimate feel in your hand. Behind the elegant looks, the latest Qualcomm® Snapdragon™ 636 Mobile Platform is 40% faster than the previous iteration making it great for streaming and gaming. The platform delivers first-class graphics and gaming performance alongside battery efficiency enhancements so you can enjoy your audio and video for even longer. Together with optimised hardware and USB type-C fast charging, you can create, edit and multitask effortlessly, without having to worry about whether your battery will last through the day. The Nokia 6.1 Plus puts propelled imaging highlights in the palm of your hand. Controlled by a 16MP/5MP double sensor raise camera that conveys astounding sharpness and detail, you can likewise breath life into your photographs with HDR which conveys stunningly better liveliness and complexity, making a sentiment of more prominent profundity. With its back profundity detecting imaging you can catch proficient style pictures utilizing selectable bokeh obscure, which can likewise be altered after the photo is taken.